The dates and locations have been announced for our 2017 Safety & Loss Control Workshops. These annual workshops offer training and information on a wide range of topics, with a focus on risk management for our member cities. Up next: High Tension Cable Median Barriers—Thankfully It Was There! Time for some Q&A and a review on bloodborne pathogens with League of Minnesota Cities Insurance Trust (LMCIT) Loss Control Consultant Liz Tadsse. 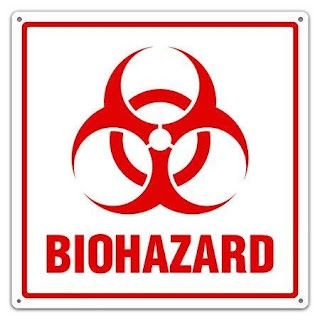 Q: Liz, what is the definition of a bloodborne pathogen? A: Pathogenic microorganisms are present in human blood or other potentially infectious materials and can cause disease in humans. Q: Which diseases are the most common? A: Hepatitis A, Hepatitis B and Human Immunodeficiency Virus (HIV). Q: What constitutes an “exposure?” More specifically, does one of our first responders getting another person’s blood on their hand meet the criteria of an exposure? A: It must involve skin, eye, mucous membrane, or parenteral contact with blood or other potentially infectious materials that may happen during the performance of an employee’s duties. Getting blood on your hand only becomes an exposure if you have a cut or open wound on your hand. Q. What should a person do if they have a significant exposure to HIV or hepatitis? A: Immediately report the incident to the employee’s supervisor and seek an immediate assessment and treatment from your employee health unit. If anti-HIV medication is indicated, it should be taken as soon as possible in order to reduce your risk of developing HIV. Q. 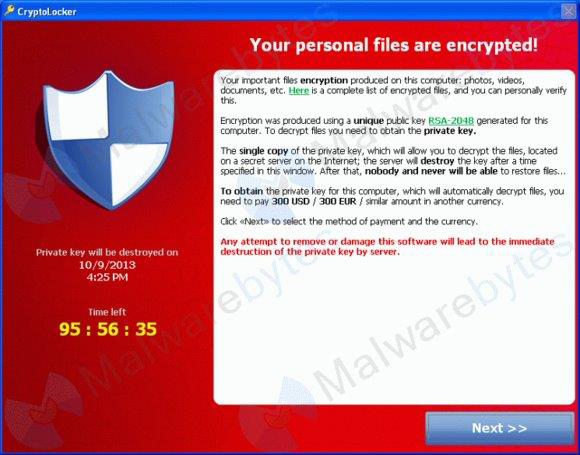 What preventative measures are appropriate? A. Preventative measures include using barriers such as gloves, gowns, and eye protection as appropriate. It is important to have safe handling procedures for needles and sharp instruments, as well as using devices with safety features if possible. Hepatitis B virus is largely preventable through vaccination. For more information, here is a link to OSHA’s fact sheet on bloodborne pathogens. their safety briefings in Georgetown, Texas. I recently traveled to Texas on behalf of the Training Safety Officer (TSO) program. The Texas Municipal League Intergovernmental Risk Pool (TMLIRP) hosted classes for their EMS, fire, and police membership at six locations around the state. The classes included a group project where the responders drafted and presented safety briefings to the class. The safety briefing is core to the TSO program, as it lays out the training session’s safety controls, the EMS plan, required protective equipment, and outlines both acceptable and off-script behavior. The briefing also has a preventive effect on reducing training injuries and accidents since it requires thinking thoroughly through how to keep each trainee safe. Using a checklist created by League of Minnesota Cities staff to draft their briefings, the attendees took the class to a high level and quickly volunteered to present to the class. A few expanded their briefings to include post-training safety points, including the clean-up to reduce lead exposure after being on the shooting range and many of elements of the firefighter cancer awareness program following live burns. There was some friendly “one-upmanship” as succeeding presentations built on the previous briefings, and a few responders even presented without using any notes. I thank the TMLIRP for their hospitality and for the opportunity to work with their membership. 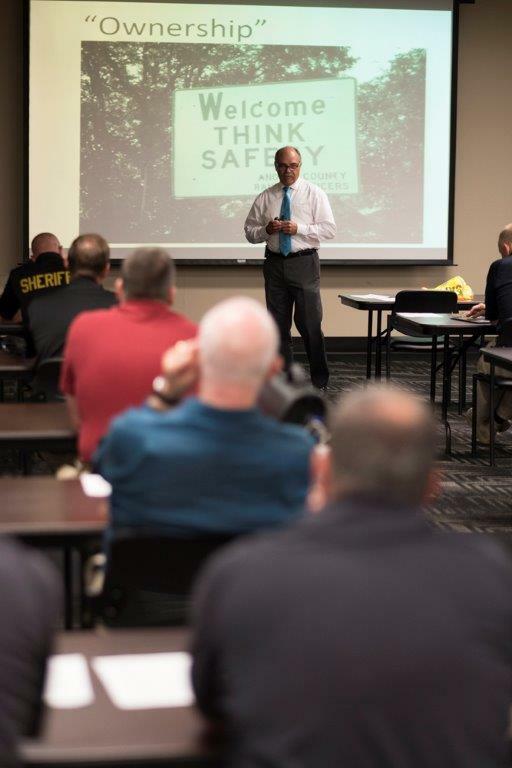 If your department is interested in hosting a regional Train Safety Officer class, please contact me at (651) 281-1239 or rboe@lmc.org. We want to thank Fairview Hospital systems and the Fairview Foundation for co-sponsoring the just-completed Mental Health First Aid classes for first responders. These nationally recognized courses brought first responders together for a full day of learning the facts and myths about mental illness. “This course saves lives” were the words of Fairview CEO David Murphy when he recently described the course. We thank all who attended—and a special thanks to all of the staff from Fairview and to our LMC training and conferences team who helped make this training happen. The St. Paul and Minneapolis Police Departments’ employee resource programs have once again teamed up with the Hazelden Betty Ford Foundation to host an educational forum to address alcohol misuse by police officers. I attended the forum last year and highly recommend it. The presentations, panel discussions, and networking helps officers understand the science of addiction, approaches to treatment, and resources available. Register early, as last year’s forum was full! Public safety personnel operate in a world of VUCA. What is VUCA? VUCA is an acronym for describing situations that are Volatile, Uncertain, Complex, and Ambiguous. The U.S. Army War College began to study how to lead and operate in VUCA environments in the 1990’s. Understanding VUCA is important to the military, the business world, and particularly public safety. VUCA is driven by multiple factors, but the main forces are the impacts of advancing technologies. 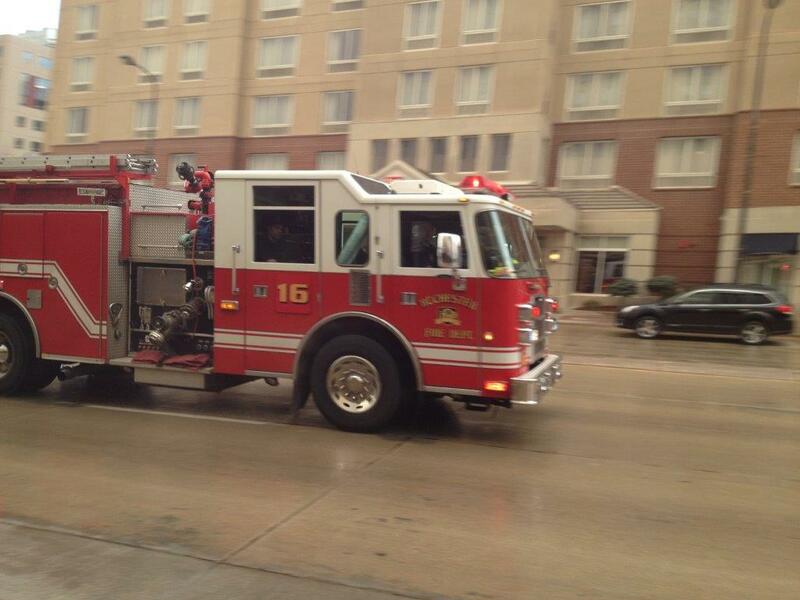 EMS responders, firefighters, and police officers work in VUCA environments all the time. They respond to chaotic and dangerous incidents by “working the problem” as they restore order, and bring calm and caring. Public safety administrators and chiefs manage, plan, and lead in VUCA environments as they learn to deal with changes. Changes in their communities, in their workforce, in their call loads, and in the types of calls their staff handles all contribute to VUCA. And it is changes in technology that impact their equipment, their knowledge, and even the view that the world now has of many local public safety calls. Situational Awareness - In both the long term and short term, VUCA fuels a need for information, risk identification, analysis, and monitoring. It’s knowing and working with your communities and your schools that will increase understanding of the changes. It is active fire inspection and prevention, community medic programs, and community policing. Increased situational awareness can bring clarity to VUCA environments. Being Agile - Agility is closely linked to the above skills as you adjust to new information while keeping the compass on your values. It’s about watching, assessing, and adjusting. Agility requires having as many tools in the mental tool box as you can carry so that you have options. Being Collaborative - This refers to listening to the views of team members and the community. Once again we see the importance of personal and professional relationships and in keeping people first. 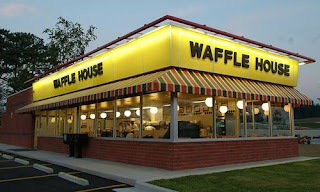 The Waffle House chain of restaurants are located in the southern portion of the U.S. and are subsequently impacted by hurricanes and tornadoes. The company has developed a risk management and disaster preparedness planning that allows them to stay open or quickly get reopen after a disaster strikes. The stories are legendary and come from hurricanes with names like Katrina and Irene, and the names of cities hit by tornados such as Moore, OK or Joplin, MO. How do they do it? It is a mixture of situational awareness, a company culture, planning, and agility. For hurricanes the planning dictates that food supplies are increased and staged, and generators are moved into place. Tornadoes do not allow much warning time, and their response is more reactionary—including borrowing staff from stores in non-impacted areas, working with their suppliers, and the commitment of their employees to get the restaurant up and running. Green—the restaurants are open and serving a full menu, which means they have power and the damage is limited. Yellow—the restaurants are open and serving a limited menu, which means there may be no power or limited generator power, and food supplies may be low. Red—the restaurant is closed, indicating severe damage in that area. The Waffle House restaurants are equipped with disaster recovery plans that explain how to keep the business open in the event of a disaster, and because of that it is rare for the index to hit red. The Waffle House experience shows how a company has learned to survive and thrive when things become Volatile, Unpredictable, Complex, and Ambiguous. It’s called VUCA, and it is the subject of the next blog. 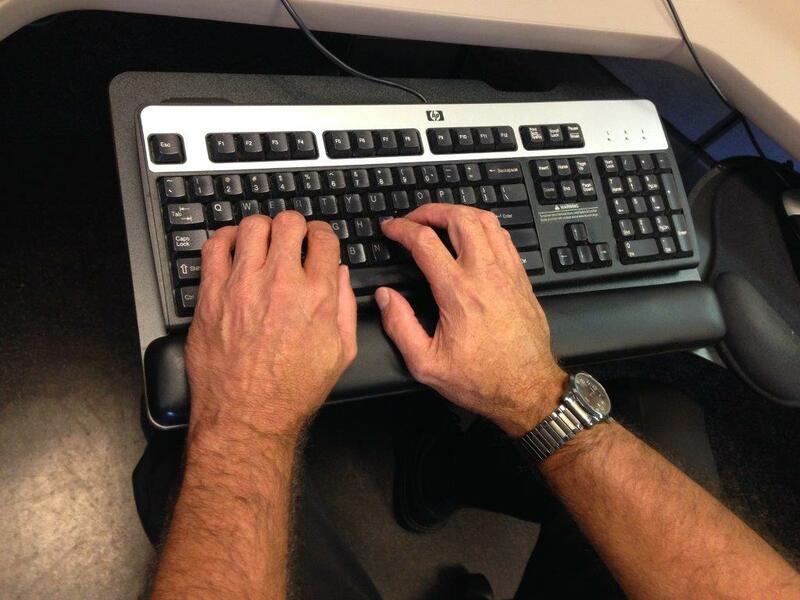 Social Media Assisted Career Suicide: this phrase is credited to Dave Statter of Statter911.com. It refers to employees who find themselves in hot water in the workplace as a result of posting their thoughts and opinions on their social media accounts. I reached out to Joyce Hottinger and Laura Kushner from our Human Resources (HR) department for a Q&A on this timely topic. In addition to assisting LMC and LMCIT with our organizations’ questions, our HR team also provides information to our membership including EMS, fire, and police departments. Question: In your line of work, you’ve likely seen some otherwise smart folks become pretty stupid using social media and ruining their careers. Can you tell us the worst instance you’ve seen or heard about? Answer: It’s so hard to choose, and “worst” is a relative term. Worst from whose perspective—the employee or the employer? But if I have to choose, how about the person who tweeted that she was just taking a job offer for the money because the work itself sounded dull and boring, then had the job offer rescinded because her new boss saw the tweet. Question: Why is this not protected as a freedom under the first amendment? Answer: Well, I’m not an attorney, but my understanding is that in some cases it is a protected freedom—but not in all cases. So, an employee might be protected if they are commenting on matters of public concern, just like any other taxpayer. For example, if an employee posts on social media that they are less than pleased about the use of tax dollars for a basket weaving class at the Community Center, that might be protected. Posting comments that your supervisor “wears clothes from the 1970’s and that’s just weird” is another story. Public employees may also be protected when they are communicating their views on working conditions or their pay and benefits, particularly as part of a group activity involving coworkers. To delineate the issue: an employee’s comments on social media are probably not protected if they are mere gripes and not made in relation to group activity among employees. Question: Can a first responder post information about a call they handled, even if they are not expressing an opinion? Answer: Generally speaking, I’d say no because in most cases the employee would not have had access to the information unless it was obtained through the scope of their job duties. It’s also very likely that information is classified as non-public information under MN Data Practices, and in some cases it may also be considered Protected Health Information under HIPAA. Overlaying all that is a major concern that social media posts about incidents that first responders are called to can damage the integrity and core values offered through city services. In many cases citizens are at their most vulnerable moments when calling for a first responder, and knowing those moments can be fodder for an employee’s later social media posts can greatly undermine the integrity and professionalism departments hold in such high value. Several cities have implemented policies notifying first responder personnel that the images they come across in their duties are owned by the city—so they need to be passed along to the correct personnel if needed as part of an investigation, for example, and in no way are to be used for personal social media sites. While we are talking about policies, remember it’s not always enough to have the policy: training employees about what is expected and what’s not okay is equally important. Question: Is this a case-by-case situation depending on the information posted? Answer: Yes, you nailed it. Whoever is making the judgment call—be it an arbitrator, a court, a jury, a civil service commission, or the city manager—they will all have to balance the employee’s rights and freedoms against the city’s interest in delivering its services to residents. Again, very complex stuff. Question: What guidelines do you recommend for EMS, fire, and police responders and their administrations? Answer: First and foremost, develop a policy and follow it. 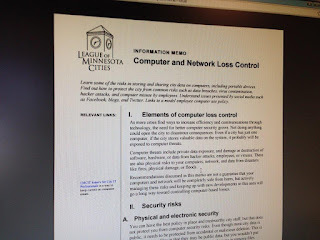 (The League has a model social media policy and a model social media policy for fire departments and EMS, as well as helpful information on the Minnesota Government Data Practices Act in the Fire Department Management and Liability memo.) 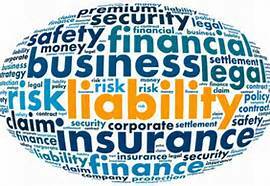 Next, educate your employees about what the policy says, and be prepared to get help when situations come up. I haven’t gotten a call yet at the League on a social media situation that wasn’t a little bit tricky. I nearly always get help from our attorneys on these issues. 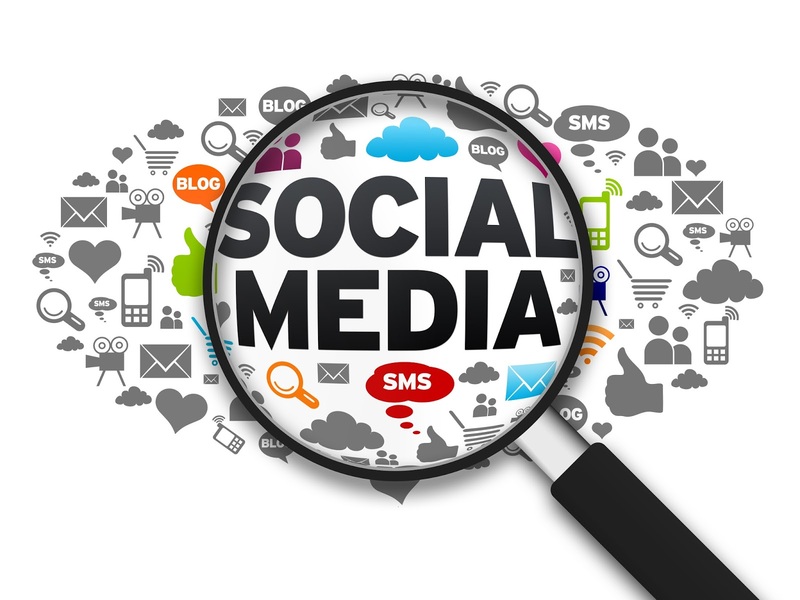 Bottom line: employees should be thoughtful about what they put on social media. Don’t hit that “post” or “tweet” button until you’ve thought through any potential consequences. And supervisors should be careful about their reactions when it comes to social media—in other words: don’t react right away, take your time, and get some help. A big thanks to Laura and Joyce for their contributions to this topic! 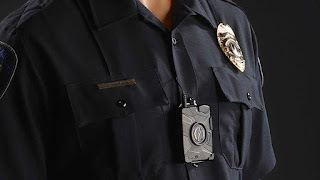 Law changes that became effective August 1st place several new requirements on police agencies implementing and administering a body-worn camera (BWC) policy. As a result, LMCIT has revised its guidance and model policy on BWCs. As with previous iterations, this policy was developed in conjunction with several Minnesota policing agencies and the Minnesota Counties Intergovernmental Trust, Minnesota Chiefs of Police Association, Minnesota Association of City Attorneys, Minnesota County Attorneys Association. A FAQ has also been created to help you understand the new law. Find out more about and register for this webinar by 12 p.m. on August 30. For immediate review at your next roll call, shift briefing or training. The words jump out at you. “Fentanyl can kill you. Fentanyl is being sold as heroin in virtually every corner of the country.” The words are from a Drug Enforcement Administration (DEA) warning issued June 10, 2016. 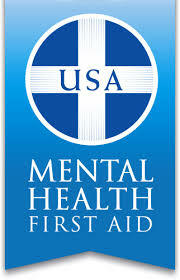 Registration is open for our upcoming Mental Health First Aid Workshops! Mental Health First Aid* is a public education program that introduces you to risk factors and warning signs of mental health problems, builds understanding of their impact, and reviews appropriate supports. During this hands-on training, you’ll use role playing and simulations to discover how to offer initial help in a mental health crisis and connect people to the appropriate professional, peer, social, and self-help care. You will also explore common risk factors and warning signs of specific illnesses like anxiety, depression, substance use, bipolar disorder, eating disorders, and schizophrenia. Read more about and register for this workshop! *This workshop is being done in partnership with Fairview Health Services and the Fairview Foundation, and will be presented by Fairview's certified Mental Health First Aid (MHFA) instructors. Improving the health of the communities they serve is the cornerstone of Fairview Health Services non-profit mission. To better understand the needs of those communities, in 2015 Fairview conducted Community Health Needs Assessments for all six Fairview hospitals. Results of these assessments showed that concerns about mental health and well-being topped the list of prioritized community health needs at all six hospitals. Their commitment to the Mental Health First Aid program is one way they are responding to our local communities in response to these concerns. The Kentucky League of Cities and the Kentucky Center for Criminal Justice Training (CCJT) recently hosted a Training Safety Officer (TSO) class in Richmond, Kentucky. The new commissioner for the CCJT academy is Mark Filburn, who was previously the law enforcement coordinator for the Kentucky League. Mark is a believer in the TSO program and plans to implement it in all of their active training sessions. The 60-65 students who attended were from the academy staff, as well as certified instructors from area police departments and sheriffs’ offices. After the classroom portion of the training, they worked in small groups to conduct a risk assessment of training sessions and of their training sites. Using that information, they prepared a safety briefing and a few were selected to present their briefing to the class. We have learned that the safety briefing is the foundation for reducing and preventing injuries in law enforcement training. As with past classes, the briefings got better and better as they incorporated ideas from other presentations. We have information on the program on our website at: www.lmc.org/TSO. If your region would like to schedule a class—or if you would like more information—contact me at (651) 281-1238 or rboe@lmc.org. The LeSueur Fire Department had a problem. 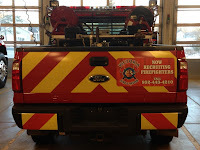 Their 1979 ladder truck was out of date and was costing them a good deal of money every time it went through its yearly inspection, as parts were failing and those parts had to be replaced to keep the truck in service. And like many departments, there was no money in the budget to replace it, as a new ladder truck can easily cost over $1 million. Fire Chief Tom Obele turned to the department’s “truck guys” who worked together scouring the internet for a suitable used truck that would fit in to their fire station. They found four trucks that looked like they might work and continued doing their research until they had it down to one. They settled on a 1993 Simon Duplex with a 100-foot LTI platform. The truck was in Somerset, Pennsylvania and the price was $75,000. Chief Obele was beginning a campaign to raise money from the city’s businesses to buy the truck. 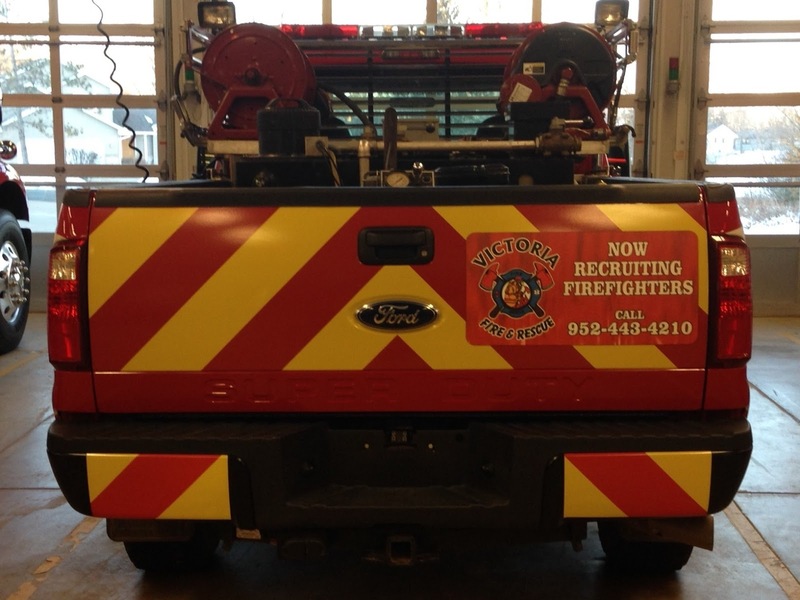 He was going to focus on the businesses that would potentially benefit from the city having a truck that could handle fire and rescue responses to their buildings. 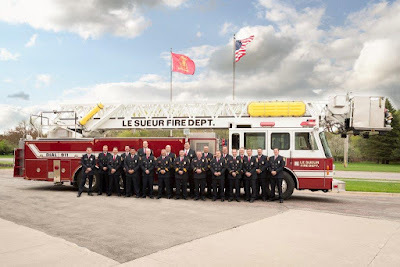 LeSueur, Inc. is a multi-generational family foundry business in the city of LeSueur, and they agreed to donate the money to pay for the truck and cover the expenses for a group of firefighters to pick it up and drive it back. As they prepared for the trip, they learned that their “new” fire truck had been at the scene of September 11 United Airlines Flight 93 plane crash in nearby Shanksville Pennsylvania. The truck and the crew from Somerset had been assigned to “decon”—the decontamination of people and equipment at the site. It’s one of those important jobs that somebody has to do and is usually done in a restricted area. 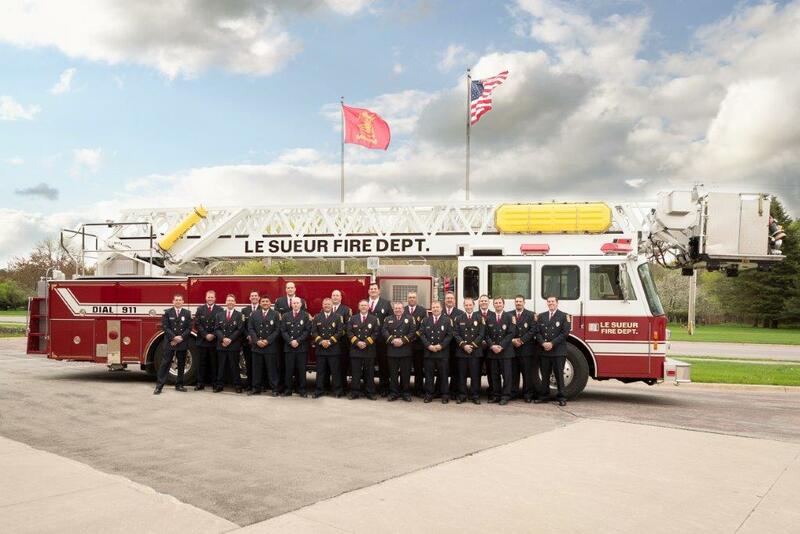 When they arrived to pick up the truck, they said “it was loaded.” Fire departments usually remove the portable equipment off a truck when it is sold, and that was what the LeSueur firefighters had expected. However, Somerset had the truck turnkey ready and they included extra ladders, nozzles, hoses, pike poles, and hand tools. It is interesting how it came together. The internet search, the generous gift from LeSueur Inc., the truck full of equipment, and the truck’s role at one of our nation’s historic and tragic events. “Final check for ears and eyes!” The firearms instructor shouts those directions as she verifies that all of the officers on the shooting range have their hearing and eye protection in place. A nod from the safety officer confirms that everyone has their Personal Protective Equipment (PPE) on. Only after that confirmation does the instructor move on to the day’s firearms training or qualification. That ritual is so routine that most officers do not even think about it—it’s automatic. But what about the safety check for PPE before an officer shoots an injured animal such as a deer that has been hit by car? Often those same officers forget or don’t think about using their safety equipment when they are not at the range. Why? Are they in a hurry, or do they not have the equipment with them in the squad car? 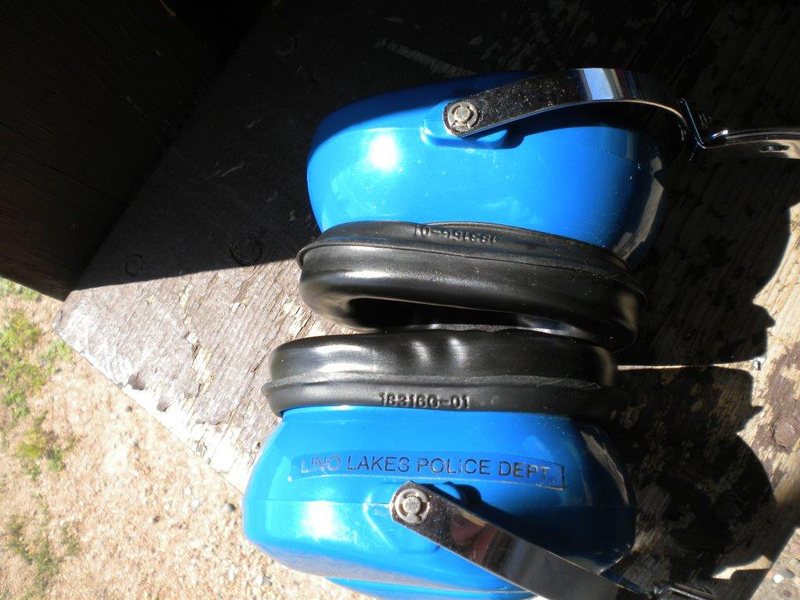 The League of Minnesota Cities Insurance Trust (LMCIT) officer injury statistics don’t tell us why, but they do tell us that many officers report hearing injures on these calls when hearing protection was not used. In addition to the officer shooting, it is sometimes an officer standing nearby that reports being injured. Make sure every officer has quick access to hearing and eye protection. Whether it is part of the squad car’s standard equipment or individually issued to the officer, this safety equipment has uses beyond the firearms range. Follow the same procedures and use the exact same words used at the shooting range when shooting an animal. “Final check for ears and eyes” should be loudly announced so all officers can get their safety equipment on and prepare for the shot. Designate an officer to be the safety officer to verify everyone has their PPE in place and to watch over the entire scene. It is very easy to be focusing on the animal with no one watching the big picture, including the perimeter or traffic. Repeating the same words used at the range and having access to the proper PPE can reduce these unnecessary injuries. Eye and hearing protection is not limited only to one location. of the Minnesota Department of Public Health. The Minnesota Medical Cannabis Act creates some issues for cities as employers—including police departments. The law contains some broad and important legal protections for employees who are approved by the state to use medical cannabis. Medical cannabis may be used to treat a variety of health conditions under certain controlled conditions, including Crohn’s disease, epilepsy, intractable pain, and more. While state law allows the use of medical cannabis, police officers are still regulated by a few special provisions under federal law. Public safety employees who carry a firearm cannot lawfully use medical cannabis under federal law. In addition, federal law prohibits cities from providing firearms or ammunition to employees it knows or has reason to know are using cannabis. It is important for employers to note that Minnesota’s medical cannabis law is unique from other state laws in the depth and breadth of its protections. As a result, non-Minnesota specific guidance on the issue can be misleading. The headline in the Winona Daily News tells part of the story: “Wabasha police officer helps save life at basketball game.” Police officers save lives with some frequency, but it is exemplary when they do it while they are off duty. Metcalf went up into the stands and found a 64-year-old woman had collapsed and did not have a pulse. Metcalf and some of the people in the crowd carried the woman down to the gym floor. 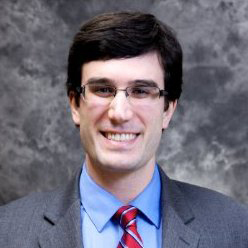 Metcalf requested that someone call 911 and get an AED (automated external defribillator). Metcalf began CPR until one of the students arrived with the AED. He applied the AED and delivered one shock. It had no apparent effect. He continued CPR, and about a minute later the moment you always hope for happened. The woman gasped. She was regaining consciousness, and her heart had started working. Metcalf stayed with her until the ambulance arrived. The woman was taken to the local hospital and then flown by helicopter to St. Mary’s in Rochester. She is doing well and has returned to work. 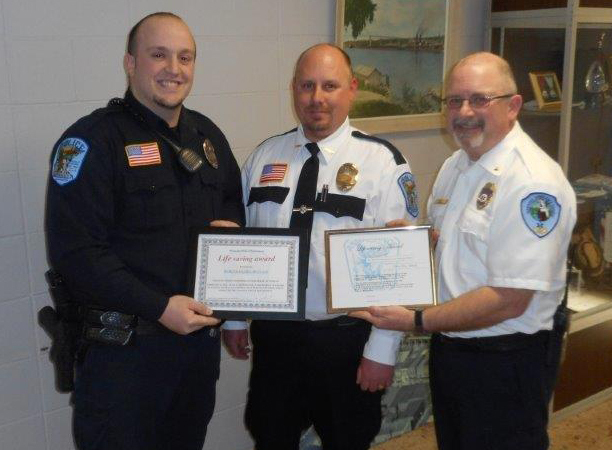 Dan received a lifesaving award from the city and from the ambulance service. The woman he saved attended the ceremony, and Ambulance Director John Fox used the moment to stress the importance of starting CPR immediately upon determining that a person is in cardiac arrest—as well as the quick application of an AED. And yes, after the ambulance left, Metcalf went back to the gym and refereed the game. With the number of firefighters decreasing, and continued services increasing, fire departments are always looking for new firefighters. Many municipalities across the state are looking and actively recruiting firefighters to fill open positions and looking toward the future when our 20-30 years-of-service members retire. How are you recruiting members? And what are you doing to make sure that you’re getting the best qualified applicants? 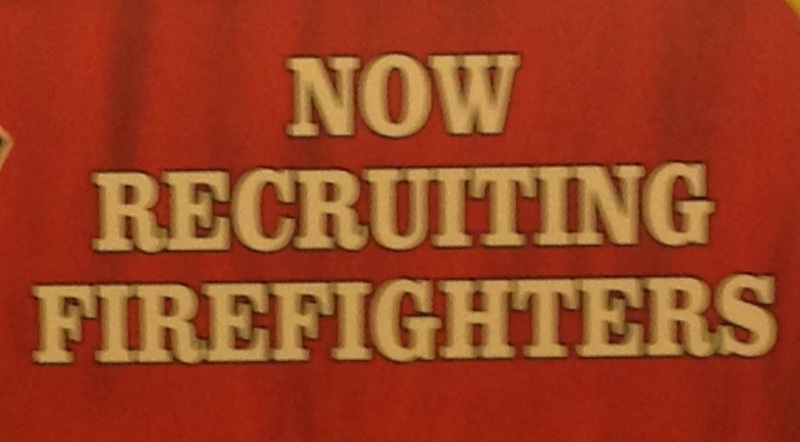 There are a variety of ways to recruit members, such as social media, newspaper, fliers, banners, or even adding “Now Recruiting Firefighters” magnets to your fire trucks. Part of the message is that you need to recruit every day, on every call, and at every event. Whatever your process is, hopefully you are getting eager applicants that are going to be positive and ready to serve their communities. When we think of new firefighters, we budget for their training and to equip them with the proper turnout gear and PPE. We instruct them on the department’s policies and procedures for responding to calls. But how many of you are completing a criminal background check on your new applicants? Would you be able to recognize the signs of someone having a mental or emotional crisis? Would you stop to assist this person, or would you consider behavioral health issues too personal for your intervention? What does depression or a panic attack look like? What would you say to someone who says they are thinking about suicide? It’s somewhat easy to tell when someone is having a heart attack or is choking—and you may know CPR and the Heimlich maneuver—but can you administer first aid in a mental health crisis? All of these are good questions when dealing with someone who is suffering a mental or emotional crisis, as one in five Americans has a mental illness—and many are reluctant to seek help, or might not know where to turn for care. As a society, we largely remain ignorant about the signs and symptoms of mental illnesses, and we ignore our role as responsible community members and public safety professionals to help people experiencing these illnesses. With the goal of making mental health first aid training as familiar as CPR first aid training, half a million people across the country (including me) have taken the new training, “Mental Health First Aid.” Mental Health First Aid is an 8-hour training course that teaches you how to help someone who is developing a mental health problem or experiencing a mental health crisis. I completed the training and three-year certification this past October at Fairview Southdale Hospital in Edina. I went into the training with a general knowledge of mental health issues, but I walked away much more informed and aware of these issues that affect many people every day. One clear message that was delivered was that Mental Health First Aid helps first responders gain awareness and is a public education program that can help individuals across the community to understand mental illnesses, support timely intervention, and save lives. If you are interested in the free training currently being offered at Fairview Southdale Hospital in Edina, MN, contact Tiffany Utke at (612) 706-4566 or tutke1@fairview.org. A waiting list is currently being established for the next training class, which is scheduled for February 22, 2016 from 8 a.m. to 5 p.m. 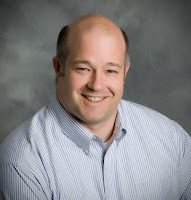 If you have any questions or comments for me, please reach out to tstille@lmc.org or (651) 215-4051. This Bulletin includes more information about the U.S. Supreme Court’s review of a breath test refusal case from Minnesota, and the Minnesota Supreme Court’s consideration of a blood test refusal decision from the Minnesota Court of Appeals. These reviews are pending, which means we're in an environment of legal uncertainty, but we've provided some general practice tips for dealing with the many unknowns. As always, we urge you to talk with your prosecutors about what you should be doing in your own jurisdiction. 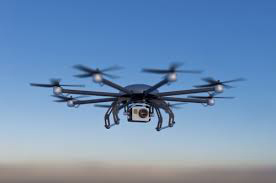 The Federal Aviation Administration (FAA) recently announced a new online registration system for recreational Unmanned Aircraft Systems, often called “drones.” Information on the program can be found here: http://www.faa.gov/uas/registration/. Though city residents using drones for hobby uses will likely need to register using this website, drones used by cities for public purposes may not be registered using the new site. Any city interested in utilizing a drone for any public use must follow the procedures the FAA has established, which can be reviewed here: http://www.faa.gov/uas/public_operations/. While there is a registration process for government-owned drones, the registration can only be done in paper form and not using the new online system. Drones are a new and exciting area of the law, but regulations are quickly changing. The FAA has been tasked with working to incorporate drones safely into U.S. airspace. The new registration requirement for hobbyist users is one of the methods the FAA is utilizing to ensure safety in the skies, as well as the safety of individuals on the ground. The registration will assist the FAA in its task to ensure those piloting drones are following the rule of law and are flying safely. 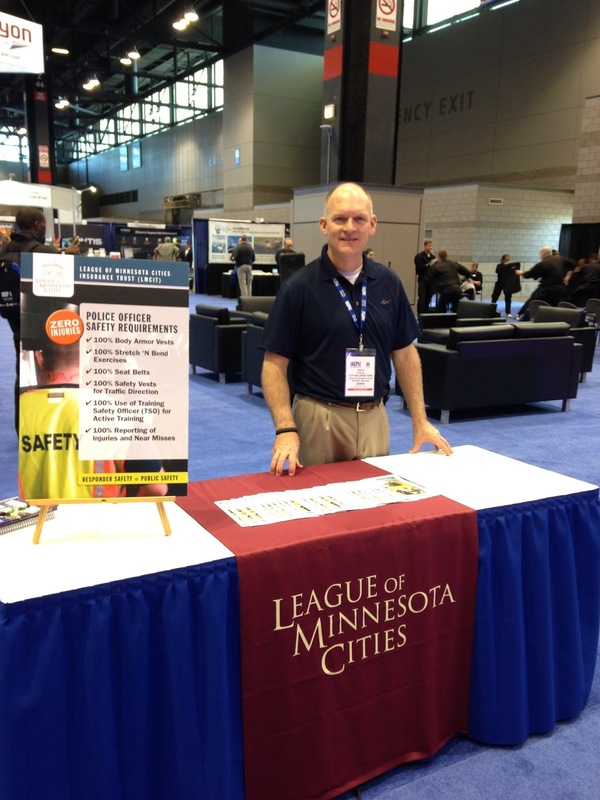 If you have any questions regarding drones or the FAA’s regulations, please contact Quinn O’Reilly at qoreilly@lmc.org, or the FAA office in Minneapolis at (612) 253-4400.
pictured at the 2015 IACP Conference. I was invited to attend the 2015 IACP Conference in Chicago, Illinois this past October and walked away with many ideas after having countless conversations for improving the health and wellness of sworn police officers, as well as non-sworn police staff. I presented in the IACP Wellness Zone on the Stretch ‘N Bend Program for Police. This is a program that is being promoted by the League of Minnesota Cities Insurance Trust (LMCIT) and was created to reduce worker injuries. It is modeled after the Stretch ‘N Bend program of Mortenson Construction. With the help of a roll-call PowerPoint presentation showing how to complete the exercises, the Stretch ‘N Bend is an onsite stretching program that encourages all employees to participate. With a goal to reduce—if not eliminate—worker injuries, the exercise program has been requested by many police and fire departments, and the feedback has been positive. It is recommended that the Stretch ‘N Bend program be conducted during the shift briefings that most police and fire departments hold. These stretching programs typically do not last longer than 10 minutes and are led by a designated volunteer or shift supervisor. Some of the benefits of taking the time to stretch your muscles are that stretching prepares your body for work activities, increases your flexibility, promotes better blood circulation, improves your range of motion, enhances muscle coordination and body awareness, delays muscle fatigue, reduces the incidence and severity of injury, and increases team morale. Would you be interested in learning more about this Stretch ‘N Bend program for everyday use within your police or fire department? Please email me, and I will send you a free PowerPoint template that outlines the exercise program and can be personalized for your agency’s use. You can send your requests, questions, or comments to tstille@lmc.org or (651) 215-4051. Up Next: Drones, What’s Up?